The Howling WolfHeart: 9 More Movies I Look Forward To In 2016! Remember my 12 Movies I Look Forward To In 2016 that I posted back in December? And how I hinted that there were more than those 12 movies? Well here are 9 more! One having had it's premiere already. I can't get over how we're getting such an amazing movie year! Yes to all of these!! 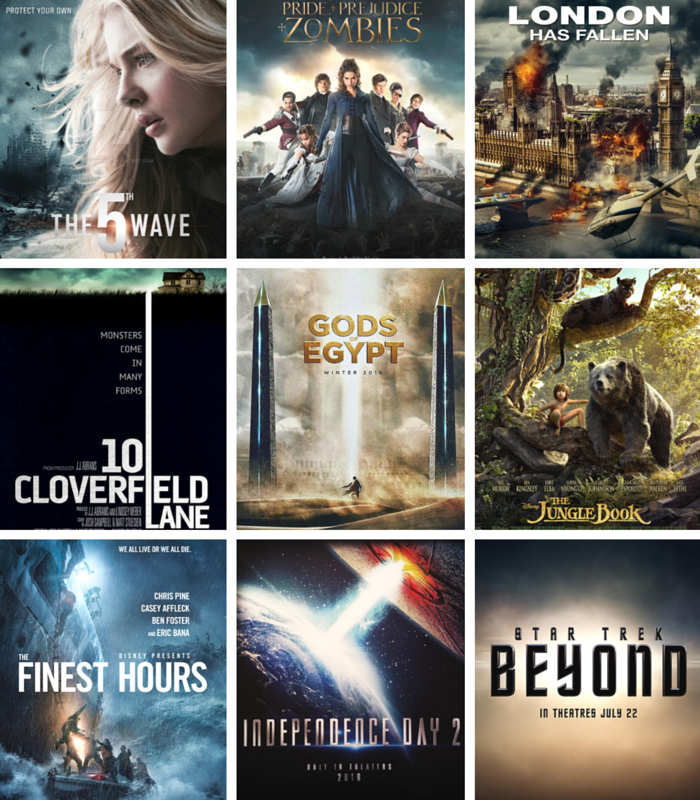 :D Such a great year for movies. Omg I knooow! *. * I want it now haha! I really can't wait for Star Trek Beyond!! The first movies blew me away and I'm sure this one will do the same. I know right! I don't even like the show Star Trek but the movies, hot damn yes! Nice list! Pride and Prejudice and Zombies was so much fun! Hope you get a chance to see it!